What are the Signs and Symptoms of Mental Disorder? Mental sickness, mental disorder or psychiatric problem whatever you call it, these all lead to one way only. It is the mental disturbance of thoughts that completely disturbs a person. Sometimes the person is aware of the things happening in his mind and sometimes he needs to make out the situation from the symptoms. Mental disorder is not like fever and cough that can be easily visible and measurable too, for finding the exact condition of a person suffering from mental disorder one needs to examine the symptoms too. 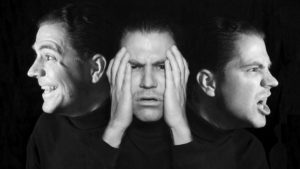 Here are few very common and important symptoms of the mental disorder that will help you decide whether the mental condition is stable or there is a need to consult a psychiatrist. Social Withdrawal: Loss of interest in others or social withdrawal is one of the biggest signs that signify that a person is suffering from mental problem. Drop in Functioning: No active participation in a social gathering or trying to cut off from the outer world is another thing that suggests that everything is not well. The problem in Concentration: Finding it difficult to remember things or problem in concentration are other symptoms that signify that the person is facing some sort of mental problem. Apathy: Having a feeling to cut off from the world or loss of interest to participate in any sort of social activity is also a sign of mental disorder. Feeling Disconnected: If a person is having a vague feeling of social disconnection or from his close circle then this is may be because his mental condition is not stable. Nervousness: Nervousness in everything is another sign of mental disorder. If a person faces anxiety in even small situations then it means that everything in his mind is not well. Sleep or Appetite Change: A change in appetite or sleep is also a sign of mental disorder. A decline in personal care is also something that seriously signifies mental disorder. Rapid Mood Change: Mood swing is a common thing but when it changes much frequently then it is a problem. Fluctuating mood very quickly is something that signifies that everything is not well. These are the signs and symptoms that signify that everything is not well. In case, you notice any of such kind of changes in you or someone close to you then it is better to consult a psychiatrist for the same because he is the only one who can provide the best assistance in this issue. The stress level in our life is increasing day-by-day. Distance from loved ones, hectic life schedule, and target based profession, there can be any reason for depression. Depression is nothing but a negative thought that suppresses our positive attitude. The best way to fight with depression is self-control on emotions. The case with depression went to worse when a person is totally unaware that he is suffering from such a problem. Depression is not a problem but not being unaware that you are suffering from it is. Whether it’s you or anyone closer to you, anyone who is suffering from depression can seem just normal to you. When the person feels complete solitude from within he can even think to end up his life. Hence saying this that depression is so much harmful that it can even take lives would not be wrong. 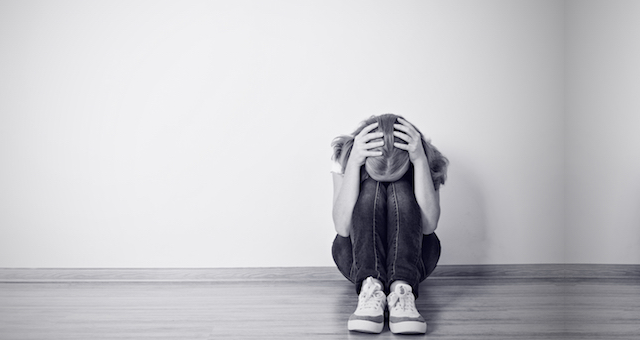 The best way to fight with depression is, knowing about its symptoms at the earliest. If you or anyone close to you is suffering from any of the problems that are mentioned below then it can be the sign of depression. Find out and consult a psychiatrist as soon as possible. Feeling Low: If you are feeling low or having the feeling of negativity then this may be a sign of depression. If there is a reason for your thoughts then it is okay, but in case you are facing frequent mood swing without any reason then you may need to consult a psychiatrist for the same. Having trouble in Sleeping: Insomnia is a sign of depression. If you are facing problem in sleeping then maybe it is because of depression. Normal restlessness is not a problem but if you are not getting proper sleep despite being in bed then it is a serious issue. Other than taking sleeping pills consulting psychiatrist is a good choice. Stressed: Anxiety or stress whatever it may be, both of these are also signs of depression. If you get stressed in very small things nowadays then you are suffering from depression. Consult a psychiatrist to get the best treatment for this problem. Persistent Headache: If you are suffering from a persistent headache for a longer time then it may be something serious. You must consult a psychiatrist as soon as possible to avoid any future complications. Thoughts of Suicide: The worst phase of depression is when a person decides to end up his life. If you are also surrounded by such thoughts in life then it is may be the negativity. Consult a psychiatrist and get the best treatment. In case you are suffering from any sort of change in your life then you must get the proper consultation for the same. The signs mentioned above will tell you that you really need psychiatric treatment. If you or anyone closer to you is suffering from these things then you must consult a psychiatrist for the same.